Turn left out of our condo at Kaua‘i Beach Villas, then take another left. Walk a little ways and take the path between the two beachfront buildings. Cross the grass and within about two minutes you’ve got this view. Well, gee, what’s not to like? 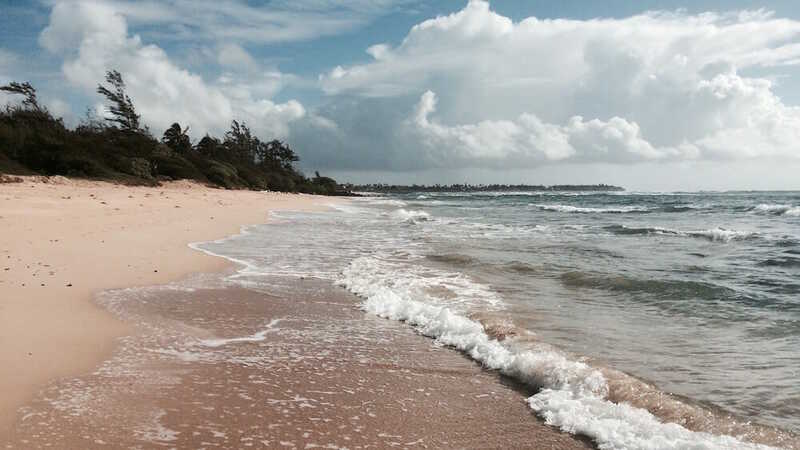 This is Nukoli‘i Beach on Kauai’s East side. The waves can be strong and the shoreline rocky, so swimming can be treacherous. However, I got into a regular routine of bodysurfing in this little bay in the late afternoon to leave the day behind and settle into the rhythm of the ocean. There were even a few times when I was able to actually stay ABOVE the water and ride the wave. Okay, so I have a crappy percentage, but with the right wave, the right timing, and the stars aligned properly… I love this little bay, it rocks!